– In what line of business are you? NR: Mostly in the foreign banking line. – Have the goodness to state to the Committee in detail, what you conceive would be the consequence of an obligation imposed upon the Bank [of England, which he owned] to resume cash payments at the expiration of a year from the present time? NR: I do not think it can be done without very great distress to this country; it would do a great deal of mischief; we may not actually know ourselves what mischief it might cause. – Have the goodness to explain the nature of the mischief, and in what way it would be produced? The director of the Prussian Treasury wrote on a visit to London that Nathan Rothschild had as early as 1817: “… incredible influence upon all financial affairs here in London. It is widely stated… that he entirely regulates the rate of exchange in the City. His power as a banker is enormous”. As Napoleon pointed out: “Terrorism, War & Bankruptcy are caused by the privatization of money, issued as a debt and compounded by interest ” — he cancelled debt and interest in France — hence the Battle of Waterloo. “There is but one power in Europe and that is Rothschild.” 19th century French commentator. This closeness is further seen in that of the 18 marriages made by Mayer Amschel Rothschild’s grandchildren — 16 were contracted between first cousins. The Communist Manifesto. 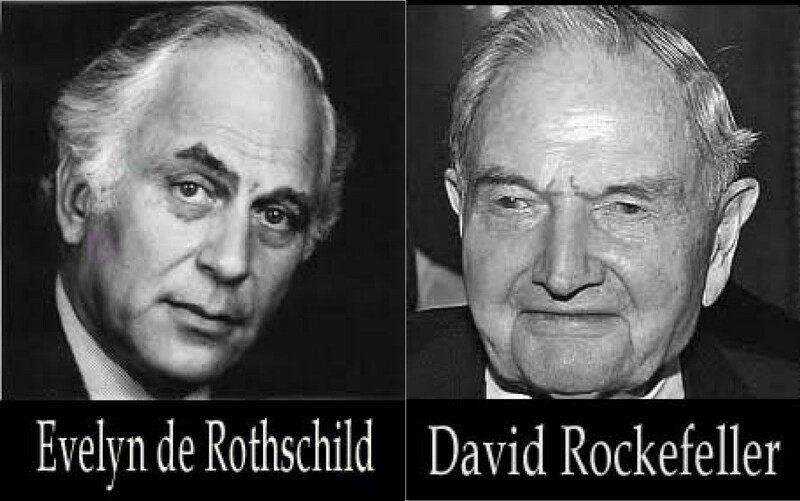 In the case of the Bolshevik revolution, Rothschilds/ Rockefellers’ Chase Bank owned the state. In the US, the FED owners “own” the state. Rockefeller is reported to have said: “Competition is a sin”. “Own nothing. Control everything”. Because he wants to centralize control of everything and enslave us all, i.e. the modern Nimrod or Pharaoh. The Rothschild were behind the colonization and occupations of India and the Rothschild owned British Petroleum was granted unlimited rights to all offshore Indian oil, which is still valid till this day. The boastful statement by Rothschild Bros. of London. These people are the top masterminds and conspired for the creation of illegal FEDERAL RESERVE BANK in 1913: Theodore Roosevelt, Paul Warburg – Representative Of Rothschild, Woodrow Wilson – U.S. President Signed FED Into Act, Nelson W. Aldrich – Representative Of Rockefeller, Benjamin Strong – Representative Of Rockefeller, Frank A. Vanderlip – Representative Of Rockefeller, John D. Rockefeller – Rockefeller Himself, Henry Davison – Representative Of J. P. Morgan, Charles Norton – Representative Of J. P. Morgan. In the last century, members of the British Fabian Society dynastic banking families in the City of London financed the Communist takeover of Russia. Trotsky in his biography refers to some of the loans from these British financiers going back as far as 1907. The Communist system in Russia was a “British experiment” designed ultimately to become the Fabian Socialist model for the British takeover of the World through the UN and EU. The British plan to takeover the World and bring in a “New World Order” began with the teachings of John Ruskin and Cecil Rhodes at Oxford University. Rhodes in one of his wills in 1877 left his vast fortune to Lord Nathan Rothschild as trustee to set up the Rhodes Scholarship Program at Oxford to indoctrinate promising young graduates for the purpose, and also establish a secret society [Royal Institute of International Affairs RIIA, which branched into the Round Table, the Bilderbergers, the CFR, the Trilateral, etc — Ed] for leading business and banking leaders around the World who would work for the City to bring in their Socialist World government. Rothschild appointed Lord Alfred Milner to implement the plan. They made that promise, in October of 1916. And shortly after that — I don’t know how many here remember it — the United States, which was almost totally pro-German because the newspapers and mass communications media here were controlled by the Zionist bankers who owned the major commercial banks and the 12 Federal Reserve Banks* and they were pro-German because they wanted to use Germany to destroy the Czar of Russia and let the Communists whom they funded take over. * The original Stockholders of the Federal Reserve Banks in 1913 were the Rockefellers, JP Morgan, Rothschilds, Lazard Freres, Schoellkopf, Kuhn-Loeb, Warburgs, Lehman Brothers and Goldman Sachs, all with roots in Germany’s Zionists like the British Royal family, J.P. Morgan, Carnegie, Bush, Rumsfeld, Clintons, the Nazis that were brought into the CIA, etc. They poured money into Germany, fighting with Germany against Russia, to lick the Czarist regime. The newspapers had been all pro-German, where they’d been telling the people of the difficulties that Germany was having fighting Great Britain commercially and in other respects, then after making the deal with the British for Palestine, all of a sudden the Germans were no good. And that did happen. Shortly after President Woodrow Wilson declared war on Germany. The power of the Rothschild family was evidenced on 24 Sept 2002 when a helicopter touched down on the lawn of Waddedson Manor, their ancestral home in Buckinghamshire, England. Out of the helicopter strode Warren Buffet, — touted as the second richest man in the World but really a lower ranking player — and Arnold Schwarzenegger (the gropinator), at that time a candidate for the Governorship of California. Also in attendance at this two day meeting of the World’s most powerful businessmen and financiers hosted by Jacob Rothschild were James Wolfensohn, president of the World Bank and Nicky Oppenheimer, chairman of De Beers. Arnold went on to secure the governorship of one of the biggest economies on the planet a year later. That he was initiated into the ruling class in the Rothschilds’ English country manor suggests that the centre of gravity of the three hundred trillion dollar cartel is in the U.K. and Europe not the U.S.
A recent article in the London Financial Times indicates why it is impossible to gain an accurate estimate of the wealth of the trillionaire bankers. 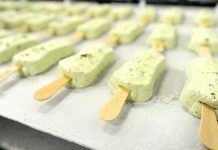 Discussing the sale of Evelyn Rothschild’s stake in Rothschild Continuation Holdings, it states: …[this] requires agreement on the valuation of privately held assets whose value has never been tested in a public market. Most of these assets are held in a complex network of tax-efficient structures around the World. In fact, the Queen even has an extra mechanism to ensure that her investments remain secret – a nominee company called the Bank of England Nominees. It has been available for decades to the entire World’s current heads of state to allow them anonymity when buying shares. Therefore, when a company publishes a share register and the Bank of England Nominees is listed, it is not possible to gauge whether the Queen, President Bush or even Saddam Hussein is the true shareholder. By this method, the trillionaire masters of the universe remain hidden whilst Forbes magazine poses lower ranking billionaires like Bill Gates and Warren Buffett as the richest men in the World. Retired management consultant Gaylon Ross Sr, author of Who’s Who of the Global Elite, has been tipped from a private source that the combined wealth of the Rockefeller family in 1998 was approx (US) $11 trillion and the Rothschilds (U.S.) $100 trillion. However something of an insider’s knowledge of the hidden wealth of the elite is contained in the article, “Will the Dollar and America Fall Down on August 19?..” on page 1 of the 12th July 2001 issue of Russian newspaper Pravda. Koryagina: The known history of civilization is merely the visible part of the iceberg. There is a shadow economy, shadow politics and also a shadow history, known to conspirologists. There are [unseen] forces acting in the World, unstoppable for [most powerful] countries and even continents. “Mr President, I wish to draw your attention to the Global Security Fund, set up in the early 1990s under the auspices of Jacob Rothschild. “I have previously asked about the alleged involvement of the European Union’s own intelligence resources in the management of slush funds in offshore accounts, and I still await a reply. To that question I now add another: what are the European Union’s connections to the Global Security Fund and what relationship does it have with European Union institutions? “Recently, Ashley Mote of the European Union (EU) asked this volatile question in a public EU meeting, a question never answered, as Mr. Mote, merely by asking this question, was immediately scratched from the White House Christmas card list and placed on its top ten hit list. The Illuminati’s cash cow, grazing freely on the World wide pasture of greenbacks, isn’t called “Elsie” but instead is called the Global Security Fund, a name actually meaning in the secret cult’s language Global Terrorist Fund. In simple terms, it’s a gigantic illegal trust fund, estimated by undercover overseas financial investigators at 65 trillion dollars, set-up for “Illuminati rainy days” and established when it is desperately needed in a pinch for bribery, assassinations and sponsoring World wide terrorist activities to divert attention from their banking mafia. Although the fund is cloaked in secrecy and made possible by the Western civilization’s Federal Reserve banking system, investigators trying to pry into the Illuminati’s secret treasure trove have uncovered some interesting facts. 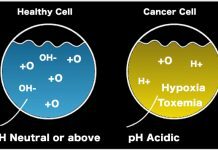 Alkaline Water Kills Cancer – This Is How To Prepare It !? Eddie is the founder and owner of www.WorldTruth.TV. This website is dedicated to educating and informing people with articles on powerful and concealed information from around the globe. I have spent the last 38 years researching Bible, History, Alternative Health, Secret Societies, Symbolism and many other topics that are not reported by mainstream media. Dear friends, do not believe every spirit, but test the spirits to see whether they are from God, because many false prophets have gone out into the world.